The American Society for Radiation Oncology (ASTRO) has chosen Theresa A. Keresztes, a resident of Wellesley, Massachusetts, to receive the 2016 Survivor Circle Award. Keresztes will be presented with the award, including $1,000, during an awards ceremony at ASTRO’s 58th Annual Meeting, September 25-28, 2016, at the Boston Convention and Exhibition Center. The Survivor Circle Award recognizes a cancer survivor who lives in the region where ASTRO holds its Annual Meeting and has dedicated his or her time and energy in service and support of the local cancer community. Keresztes is a volunteer with the Wellesley Cancer Prevention Project, based in Wellesley, Massachusetts, and other groups. Keresztes was diagnosed with ductal carcinoma in situ (DCIS) in 2007, undergoing a lumpectomy and radiation therapy at Massachusetts General Hospital in Boston. She received tamoxifen for five years following treatment. 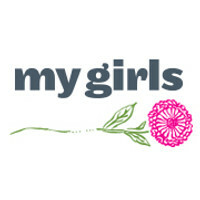 Keresztes launched an event called The My Girls Gala Fashion Fundraiser for Breast Cancer Research, sponsored by a jeweler in Boston and Keresztes’ newly launched company, My Girls Skin Care, to raise funds for MGH's breast cancer research programs. Later this year, she will walk the runway herself for Catwalk for a Cure and Susan G. Komen of Southern New England. Keresztes said she was honored to be chosen for ASTRO’s 2016 Survivor Circle Award. She recommends that those considering volunteering examine what kind of activities they enjoy most and look for groups that support those efforts. For more information about ASTRO’s 58th Annual Meeting, visit www.astro.org/AnnualMeeting . For more information about the Survivor Circle, visit www.rtanswers.org/survivorcircle . ASTRO is the premier radiation oncology society in the world, with more than 10,000 members who are physicians, nurses, biologists, physicists, radiation therapists, dosimetrists and other health care professionals that specialize in treating patients with radiation therapies. As the leading organization in radiation oncology, the Society is dedicated to improving patient care through professional education and training, support for clinical practice and health policy standards, advancement of science and research, and advocacy. ASTRO publishes three medical journals, International Journal of Radiation Oncology • Biology • Physics ( www.redjournal.org ), Practical Radiation Oncology ( www.practicalradonc.org ) and Advances in Radiation Oncology ( www.advancesradonc.org ); developed and maintains an extensive patient website, RT Answers ( www.rtanswers.org ); and created the Radiation Oncology Institute ( www.roinstitute.org ), a nonprofit foundation to support research and education efforts around the world that enhance and confirm the critical role of radiation therapy in improving cancer treatment. To learn more about ASTRO, visit www.astro.org .